All you need to know about what to expect for the upcoming 2018 season. 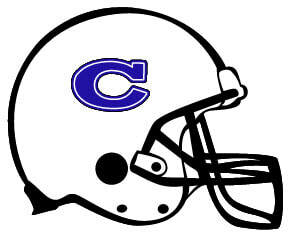 The Clayton Civitan will provide all gear required to practice and play tackle football EXCEPT cleats. This includes helmet, pads, jersey and practice & game pants. All players are required to practice and play with rubber cleats. Metal cleats are not allowed. All tackle age groups will practice Mondays, Tuesdays, and every other Thursday, from 6:30 PM - 8:00 PM, and Fridays 6:00 - 7:00 PM. Saturday practices may be held during the month of August prior to the beginning of the school year. Practice schedules will be posted online. Practices may be cancelled due to inclement or hot weather and all parents will be notified prior to cancellation via email. All football games are played on Saturday evenings. All three divisions will play on the same day, at the same location, against the same team.